Permanent Makeup Training Academy’s ‘Complete Permanent Makeup Start-up Training Course’ is Voted the UK’s Health And Beauty Programme of the Year!!! The Business Excellence Awards honour those professionals working tirelessly to raise the bar, accepting nothing but the best when it comes to their firms and wider industries. All of the award winners, without exception, are united by the stellar standards they set themselves and the outstanding results they achieve. The 2015 Business Excellence Awards are based purely on merit, going only to the firms and individuals who have pulled out all the stops and done truly amazing things over the past 12 months. The extensive research and rigorous judging process performed by a dedicated awards team means that all winners can take tremendous pride in being recognised for these awards. 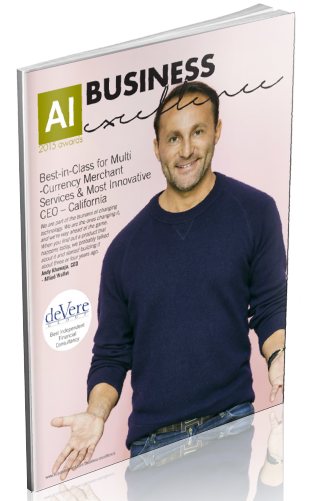 All winners have recently been announced in the 2015 Business Excellence Awards Magazine. 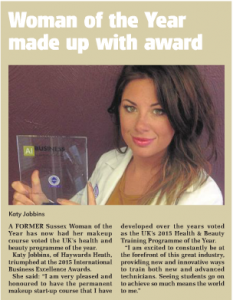 The Permanent Makeup Training Academy’s Award is presented on a two page spread in the awards magazine, which also contains other companies who have won awards across many industry sectors. You can see the Permanent Makeup Training Academy write-up on page 96-97. Click the image to see a screenshot of the article or use the link above to see the article in the online magazine. or use this link to see the article in the online magazine. I am excited to constantly be at the forefront of this great industry, striving to provide new and innovative ways to train both new and advanced technicians. 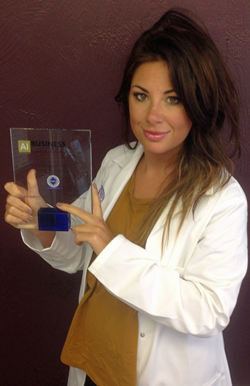 This award is Katy’s/The Permanent Makeup Training Academy’s 5th high profile Award in the last 3 years. For more details on the 2015 UK’s Health and Beauty Training Programme of the Year, you can download the full course prospectus by submitting your name and email address in the form below, or call us at the office on 01444 300157 at any time.